Impact Developer&Contractor, one of the biggest real estate developers in Romania, has appointed Polish executive Bartosz Puzdrowski as its CEO. His three-year mandate starts on September 1, 2016, the company announced in a note to investors. Bartosz Puzdrowski is an experienced real estate manager with over 20 years of experience in this sector. He has held various executive and senior management positions in real estate companies in Poland. He has been board member of ICON Real Estate in Poland and Finland, managing director for the Real Estate Development Segment in Marvipol Group, a residential developer listed on the Warsaw Stock Exchange (WSE), and CEO of Polnord, another leading residential developer listed on the WSE. He graduated from the University of Warsaw and has completed the Warsaw-Illinois Executive MBA program. Impact Developer&Contractor is one of the leading residential developers in Romania. The company’s biggest ongoing project is the Greenfield residential compound in northern Bucharest. Impact recently announced that it would invest EUR 44 million in the next phase of this project. Impact also owns a land plot on Barbu Vacarescu Boulevard, close to Bucharest’s emerging office district, where it also plans to start a new residential project. The company had close to EUR 25 million in revenues, in 2015. Impact’s shares are trading on the Bucharest Stock Exchange. The company has a market capitalization of EUR 43 million. 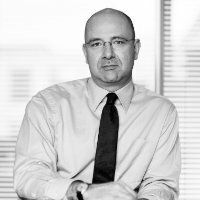 Romanian investor Gheorghe Iaciu owns almost 50% of Impact’s shares. The second biggest shareholder is local investor Adrian Andrici, who holds a 15% stake in the company.